USD is getting weak against many currencies and the market is still not stable due to the Brexit issue. However the oil price supported CAD. USDCAD started today with bullish bias and it is still trying to rise. 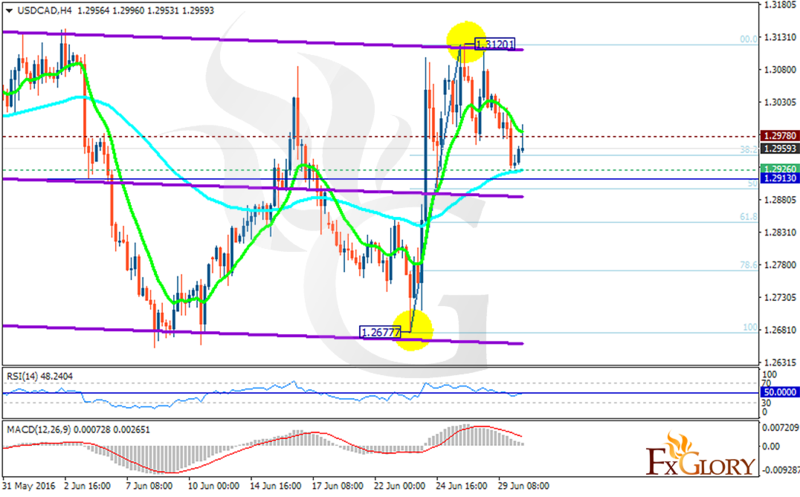 The support lies at 1.29260 with resistance at 1.29780 which both lines are above the monthly pivot point at 1.29130. The EMA of 10 is falling down and it is getting close to the EMA of 75. The RSI is moving around the 50 area and the MACD indicator is falling down from the positive territory. If the next candle finishes with bearish bias, the pair will have further decline to 1.2800.